BURBANK, CA –April 12, 2017 – As fans across the globe eagerly await the next adventure in the “Fantastic Beasts” feature film series, Warner Bros. Pictures has announced the actor who will take on the role of one of J.K. Rowling’s most beloved characters. 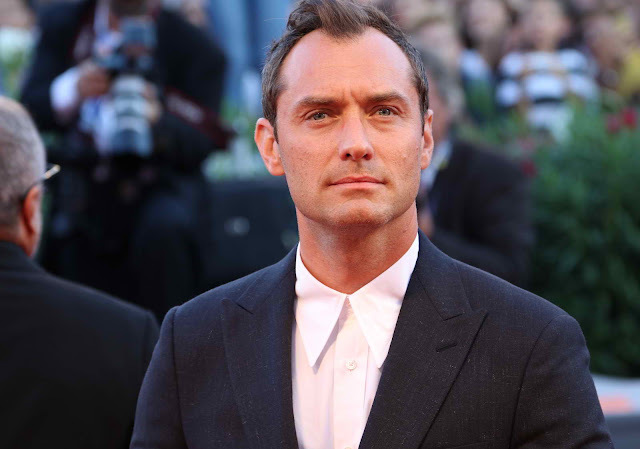 Two-time Academy Award nominee Jude Law has been set to star as Albus Dumbledore in the “Fantastic Beasts” sequel, it was announced today by Toby Emmerich, President and Chief Content Officer, Warner Bros. Pictures. In the much-anticipated new Wizarding World film, Law will portray Dumbledore long before the iconic wizard became the Headmaster at Hogwarts, as he has been known in the Harry Potter books and movies. We meet him decades earlier, when Dumbledore is still serving as the wizarding school’s Transfiguration professor. He is also a contemporary of Gellert Grindelwald, the charismatic dark wizard who believes wizards are superior to Muggles and No-Majs. J.K. Rowling, who made her screenwriting debut on the global hit “Fantastic Beasts and Where to Find Them,” has also written the screenplay for the second movie. The story moves deeper into an increasingly dark time for the wizarding world, where Newt Scamander and our other heroes have to decide on their allegiances. Jude Law earned Oscar nominations for his work in “Cold Mountain” and “The Talented Mr. Ripley,” winning a BAFTA Award for the latter. He will next be seen in “King Arthur: Legend of the Sword,” and currently stars in the HBO series “The Young Pope.” His many other film credits include the “Sherlock Holmes” movies, “The Grand Budapest Hotel,” “Hugo,” “Contagion,” “The Aviator,” “Alfie,” “Road to Perdition” and “A.I. Artificial Intelligence,” to name only a portion. The first film in the “Fantastic Beasts” series, “Fantastic Beasts and Where to Find Them,” began a new era in the wizarding world, decades before the Harry Potter movies, which still reign as the top-grossing film franchise of all time. Acclaimed by both critics and audiences, the 2016 release became a global blockbuster, earning more than $813 million at the box office. Principal photography begins this summer on the new “Fantastic Beasts” adventure, which will be directed by David Yates, who previously helmed the final four “Harry Potter” features, as well as “Fantastic Beasts and Where to Find Them.” The film also reunites producers David Heyman, J.K. Rowling, Steve Kloves and Lionel Wigram. Neil Blair, Rick Senat and Danny Cohen are serving as executive producers. Slated for release on November 16, 2018, the film, which is the second of five planned “Fantastic Beasts” movies, will be distributed worldwide by Warner Bros. Pictures, a Warner Bros. Entertainment Company.